CPI and Beneq Sign Collaboration Agreement to Commercialise Atomic Layer Deposition Technologies – CN1 Co., Ltd. 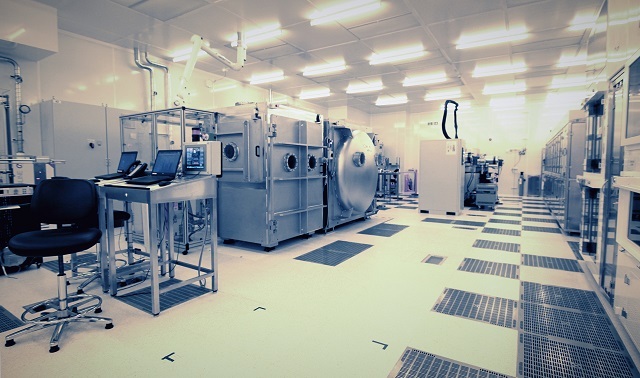 The Centre for Process Innovation (CPI) and Beneq have signed a long term collaboration agreement for the use of atomic layer deposition (ALD) technologies in printable electronics applications. The agreement brings together Beneq’s expertise in the field of high precision vacuum coating alongside CPI’s specialist capability in the scale up of printed electronics. Working together, the two organisations will provide world leading capability for the commercialisation of ALD techniques, creating an open access environment for companies to develop ultra barrier solutions in areas such as photovoltaics, OLEDs, microelectronics and sensors. The collaboration agreement follows on from CPI’s recent installation of two atomic layer deposition tools from Beneq for the development of conformal nano-scale coatings; one batch ALD tool and one state of the art roll-to-roll ALD ( R2R ALD) system. In particular the roll-to-roll ALD tool processing technology will be actively developed between the two companies. ALD is applied as a specialist barrier coating technique used for the protection of optoelectronic devices and is being utilised by CPI to add moisture ultra-barrier protection layers to flexible polymer substrates used to produce optoelectronic devices using sensitive active electronic materials. Thin films produced using the ALD method are cost efficient, defect free and completely conformal, thus providing superior barriers and surface passivation compared with other deposition techniques. These properties make them ideal for numerous kinds of critical applications that utilise flexible films such as Organic Light Emitting Diodes (OLED), flexible display screens, photovoltaic cells and wearable electronics to name but a few. Current commercial barrier films, based on multilayer laminates are typically prohibitively expensive for large area applications while single thin layer barrier structures from ALD deposition have demonstrated the potential to reduce this cost significantly whilst retaining the requisite barrier and flexibility properties. Further application areas of ALD and R2R ALD will be developed during the collaboration, where conformal nano-scale coatings are beneficial which would include transport, interfacial and contact layers in devices such as OLEDs, PV and sensors for example.